If you want to reach for success in every area of your life, the most important asset you can have is a faithfully optimistic, winning attitude. 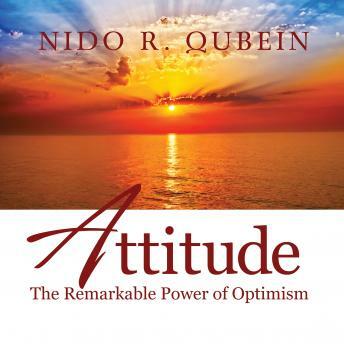 In his latest book, Attitude: The Remarkable Power of Optimism, Dr. Nido Qubein shares the treasure trove of wisdom he has accumulated about the power of attitude. He came to this country at age 17, with little knowledge of English, no money, and no connections, but with the attitude that if you work hard enough and smart enough, you can make good things happen in your life. Today, he's one of America's most sought after speakers and the President of High Point University. Now in Attitude: The Remarkable Power of Optimism, Dr. Qubein shows you how a positive attitude can transform your life, too. Whether you reach success or failure in life has little to do with your circumstances; it has much more to do with your attitude...with your faithful courage...with your choices!